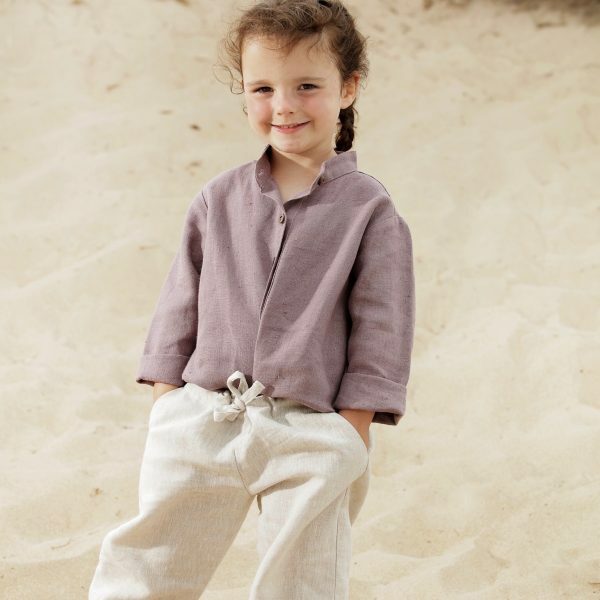 Simple, timeless and worn every single day of the year, Freya Lillie linen clothing. With extra leg length to turn down when they grow or roll up for strolls along the beach. Made with 100% linen it’s the perfect piece of children’s unisex clothing. Designed with simple pockets and adjustable drawstring waist, they will be the piece of clothing that will continue to last and be worn from season to season. 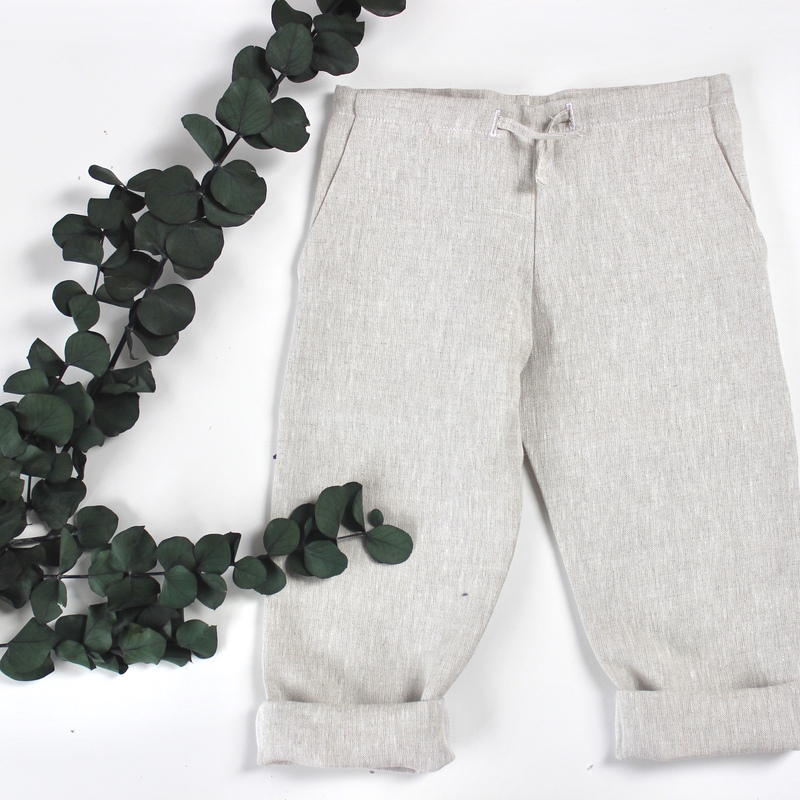 As we are a sustainable fashion brand, we design and size our children’s clothing to last. This means they are made with room to grow and are a generous fit. Our pieces have adjustable fastening which means they will last throughout the year. They are not just for Summer, they are key pieces designed to be worn all year. Team with knits come the cooler months. If you are not completely satisfied, don’t worry as we offer returns and exchanges if you aren’t completely satisfied. Please see our size chart for further details. We are currently working on a made to order basis due to demand. Dispatch times are usually 10 to 14 working days, however at peak times due to new products or promotions, please allow a little longer. If you require an urgent delivery, please email us at info@freya-lillie.com and we will try to accommodate.